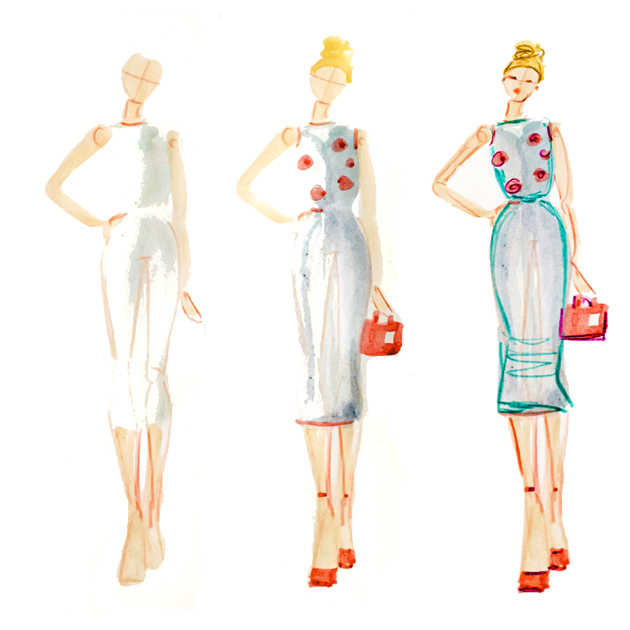 fashion illustration in three steps…. Here’s another glimpse at my process…..hope you will give it a try! Download my free croquis to get you on your way! Step 2: Add more washes of bolder color, don’t be literal just enjoy the colors! Have fun, practice tracing until you can create your own freehand croquis and enjoy the process! My inspiration for this illustration is Dolce & Gabbana 2016 Resort…..